Do you have a passion for art? Are you looking for the next art piece or framed scenic imagery to add to your space? Looking for a date night out to meet some locals with your same interest in the arts? 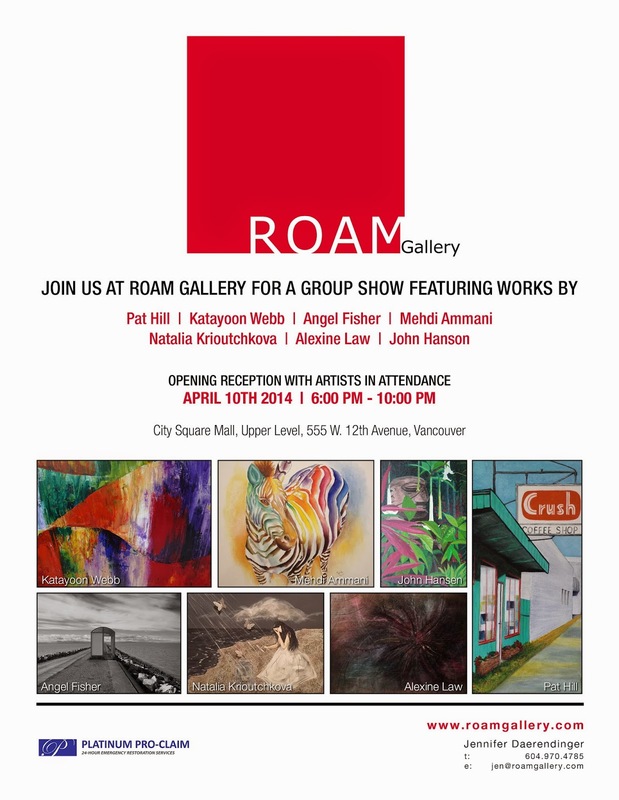 Then we have an event for you to check out this Friday, April 10th from 6 pm to 10 pm at the ROAM Gallery. From April 8th to May 5th seven emerging artists will be showing and selling their art of all mediums. Friday, April 10th the gallery along with the seven artists will be hosting a "Meet The Artist" event where you will get to view work, mingle and meet the artists of the month. Our very own Mommy Ambassador Angel is one of the seven artists who be in attendance on Friday so you will have a chance to meet her there.